Switching between multiple apps during the day? Wishing you could easily access that cool website you saw earlier last week on your phone—but on your PC? You can breathe a sigh of relief knowing that with Timeline, your “stuff” will be easily accessible by chronological view. Just press the Task View button. 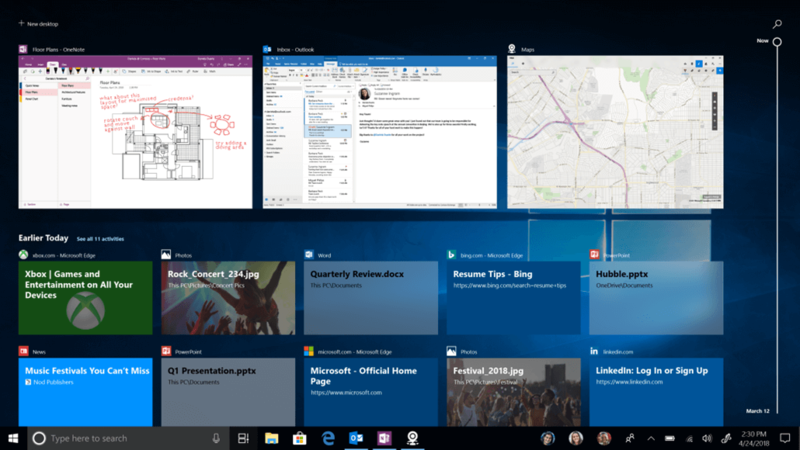 Before the release of the Windows April 2018….